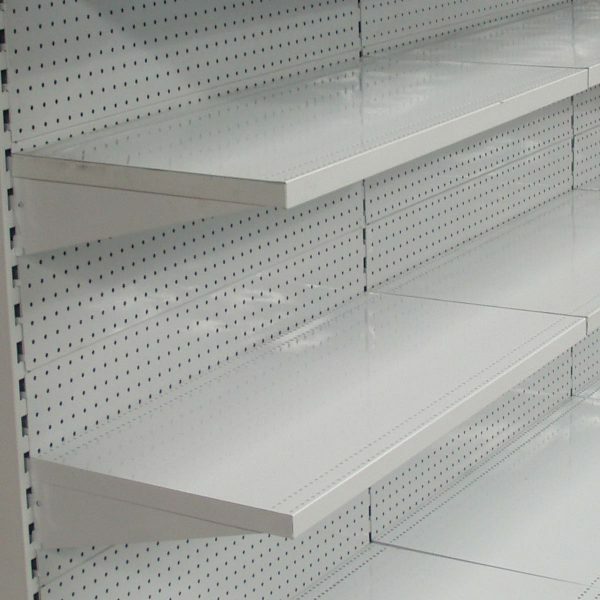 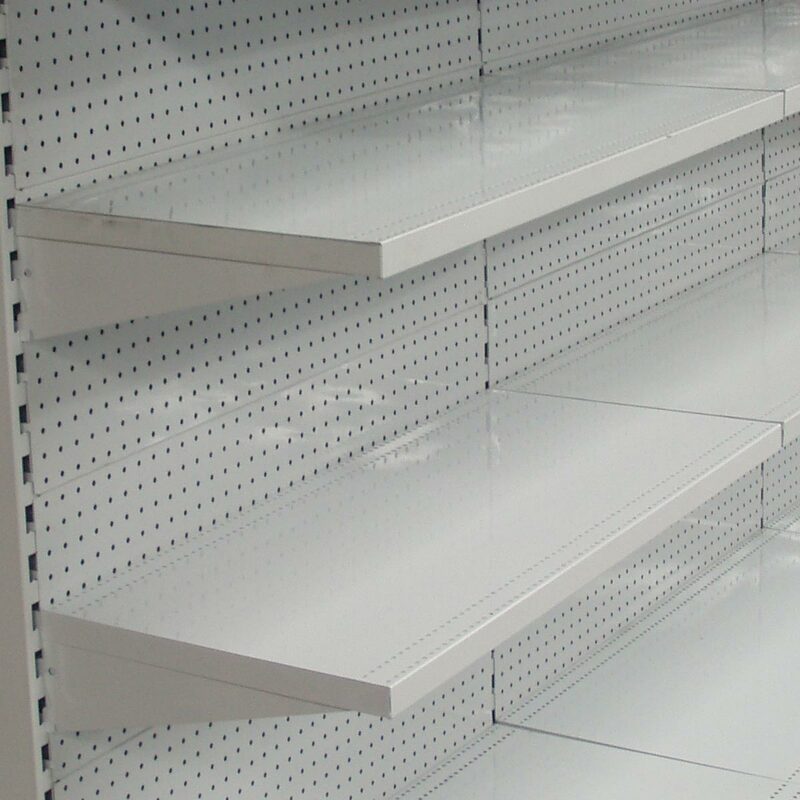 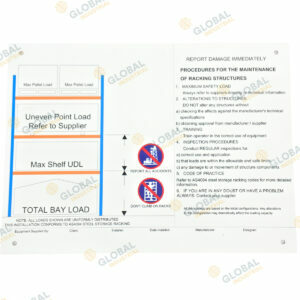 The shelves for Gondola shelving come in 3 different depths; 350, 400, and 450mm. 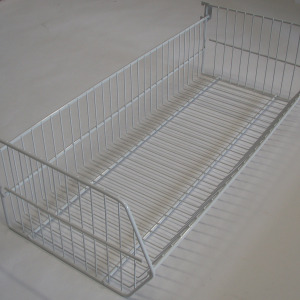 The shelf sits on two brackets which need to be purchased separately and have a loading capacity of 45kg UDL. 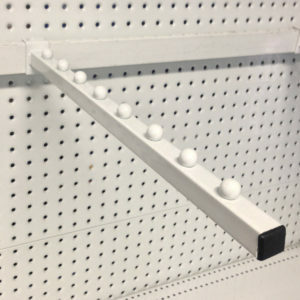 The 450mm shelf is always used to sit on the base of the gondola unit, however this can also be purchased as a raised shelf as well. 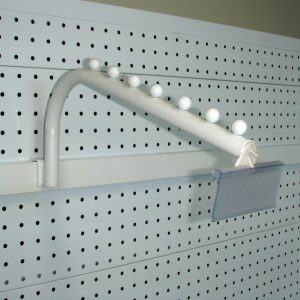 Other optional accessories include wire fronts and wire dividers, which also can be purchased separately.